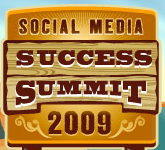 Online summit to help marketers achieve success with social media. Dedicated to affiliate marketing, Google Adwords, social media, conversion optimization, customer experience management, and more. Led by Chris Brogan and Justin Levy. Information for intermediate to advanced SEOs. Organized by the creators of WordPress for WP users and developers. Meant to help attendees understand how organizations worldwide are personalizing Web content. Gives bloggers of color an chance to meet and discuss current issues affecting them and new technologies that can help them accomplish their goals. Covers the latest trends and advice from expert affiliate marketers. Another meeting of the May 27-28 event listed above.